Nuclear technology, metal, and solar companies allegedly targeted in Chinese spy ring. The United States has accused a foreign country of spying yet again - but this time, Israel is not the target. The US Department of Justice filed indictments against five senior officials in the Chinese military Monday, accusing them of cyber-espionage and stealing trade secrets. 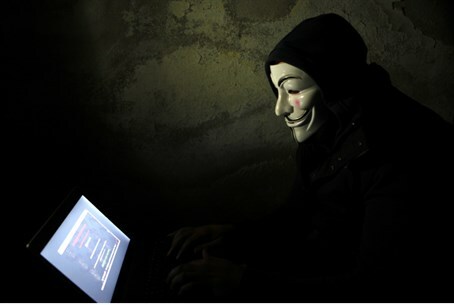 According to Attorney General Eric Holder, the hackers targeted nuclear power, metals and solar product companies - including Alcoa World Alumina, Westinghouse Electric Co., Allegheny Technologies Inc., U.S. Steel Corp., United Steelworkers Union, and SolarWorld. Hackers are also suspected of breaking into US computer software company Blackshades, according to Channel 10, in order to control computers remotely. "In sum, the alleged hacking appears to have been conducted for no other reason than to advantage state-owned companies and other interests in China at the expense of businesses here in the United States," Holder told a news conference at the Justice Department. "This is a tactic that the United States government categorically denounces." Cyber-hacking is quickly becoming the prime method for espionage, according to Bob Anderson Jr., executive assistant director of the FBI's criminal, cyber response and services division. "This is the new normal," Anderson stated to the Associated Press. "This is what you're going to see on a recurring basis." Cyber-spying charges have flown between the US and China on multiple occasions, with the US insisting that Beijing is guilty of espionage and China accusing the National Security Agency (NSA) of hacking into its own systems. Espionage here, espionage there. . . Espionage continues to be a hot topic in the US, which is still reeling from former intelligence official Edward Snowden's revelation that the NSA spies on hundreds of foreign leaders and even citizens on a regular basis, as well as its own people. Snowden’s leaks revealed a global surveillance system of unprecedented proportions, and sparked controversy between the U.S. and foreign leaders that had their privacy breached. One such diplomatic row was with Germany, whose Chancellor Angela Merkel accused the U.S. of tapping her mobile phone. Israel has frequently been a target. The New York Times reported in December that in monitoring more than 1,000 targets in upwards of 60 countries between 2008 to 2011, US and British intelligence agencies tapped the communications of former Prime Minister Ehud Olmert, among other foreign leaders, according to secret documents revealed by Snowden. The revelation sparked outrage from several ministers and a campaign to release Jonathan Pollard, an Israeli citizen accused of spying against the US who was sentenced to life in prison for espionage in 1985. Several weeks ago, spying allegations put the US-Israel relationship under renewed strain, after Newsweek reporter Jeff Stein alleged that CIA operatives accused Israel of spying "aggressively" against the US in closed conversations.